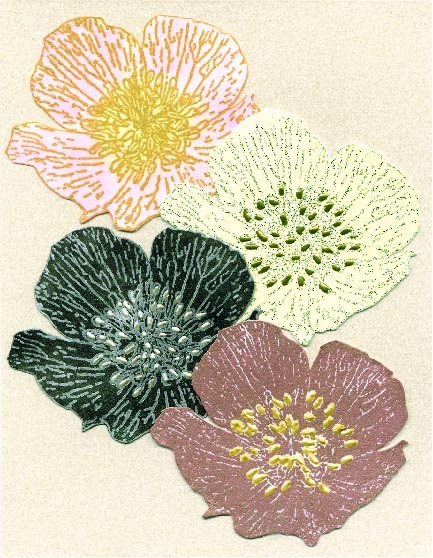 Here are some samples of the new Hellebore Duet stamps. 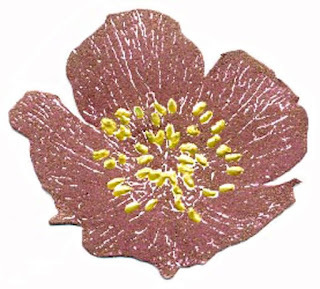 This is the solid hellebore design inked with Brilliance Pearescent Crimson ink and stamped on to card. 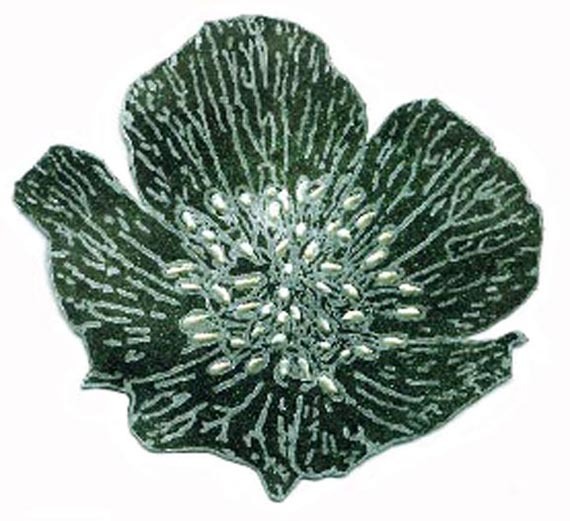 Liquid Pearls in the centre. 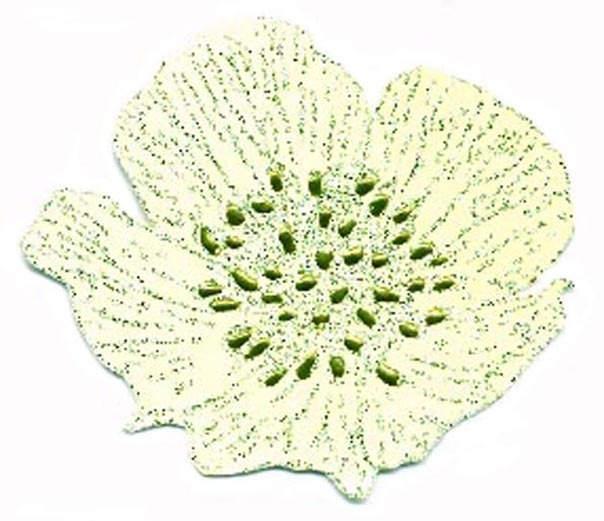 This is the open design which has been stamped on to pale green card and embossed with Stampendous Shabby Green powder. Liquid Pearl centre. This is the open design stamped with Brilliance Moonlight White ink on tp black card which was sprayed with Pearl Green Shimmering Mist. Liquid Pearl centre.